Celebrating the 5th Anniversary of the Maestro with a Special Edition Redesign. 2015 marks the fifth anniversary of the release of our Maestro Series. In 2010 we announced the Maestro as our premier do-it-all board, and it has been stoking riders across the world ever since. But over the years, the Maestro has become somewhat of an icon to us, epitomizing the true meaning of NYC Push, but also representing what is fun and functional about a longboard designed for pushing, carving and straight having fun. It was with this consideration that we brought the Maestro back to the drawing board and rolled out the Maestro-5, a special edition cousin of the classic design. Our New York Push Series has been our most popular lineup of boards for a while, but the Maestro has more obsessed riders than any one board we’ve created. These riders have ideas and opinions and we are stoked to listen. One thing we’ve heard time and again is the request for concave in the rear of the Maestro. The Maestro-5 realizes that dream, and features a touch of concave in the rear to give that back foot a little more confidence. This also adds strength and performance across the board. The all-new bamboo and maple lay-up helps to create a more flexible deck, and lends a little more of a responsive, snappy character to the ride. Finishing this all off is a beefed up neck for even more strength, and you’ve got a super lively, wickedly skate-able, city-slashing, NYC-style Push Machine. There’s nothing quite like the sensation of navigating the streets of the city on a skateboard. Pumping up and down empty cross streets, carving through traffic down avenues - the Maestro-5 was designed with the urban pusher in mind. The forward mounted camber uses the power generated by your push or pump to create momentum. Slightly wedged (less than the class Maestro) truck mounting gives you leverage and control while maintaining the concrete surfing feel of the Maestro. Concave extended throughout the deck keeps you locked in for quick turns and along with the wide neck, creates a strong board that can survive where others may not. The Maestro-5 is designed to be more responsive and lively. To achieve that we've developed a Bamboo/Maple hybrid layup that offers lasting flex and feel. Riding is believing. The Maestro 5 works best with RKP’s because of it’s already low ride height, but if you’re feeling up to it, TKP’s are fun with soft bushings. We recommend sticking to around a 70mm wheel especially if it’s center-set to ensure 0 wheel bite, but with the proper set up and bushings, anything up to 80mm is doable! 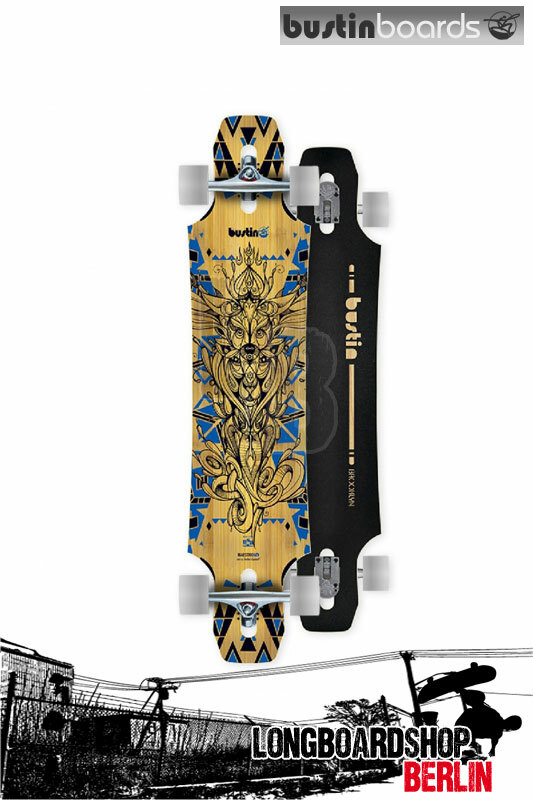 We are stoked to work with and promote Brazilian street-artist Rafael Highraff on the new Maestro-5 graphics. Rafael has been turning out amazing street art for years and we couldn’t be happier about how this piece translated from a wall to a board. There have been a lot of Maestro graphics over the years, but this one is definitely one of the best.